Formulated on a base of honey and glucose. Added zinc and methionine for a healthy coat. For Healthy Hooves. Excel Biotin has been formulated on a palatable and appetizing base of finest honey and pure glucose. 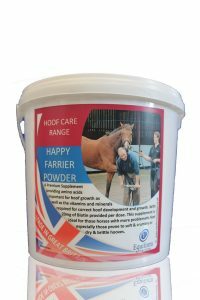 This product has added Zinc and Methionine, elements which are essential for a healthy coat. Biotin (vitamin H) is widely distributed in feeds yet often organically bound and therefore difficult for the horse to absorb. 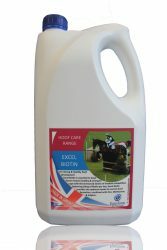 Equiform have formulated a liquid supplement that allows Biotin to be easily absorbed by the horse. If insufficient Biotin is available to the horse, the first visible signs are dry, scaly skins,dermatitis and softening of normally hard tissues such as hooves. Excel Biotin does not contain any banned substances. 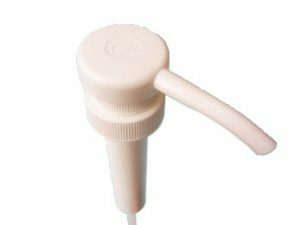 Feeding rate: 30ml per horse per day.